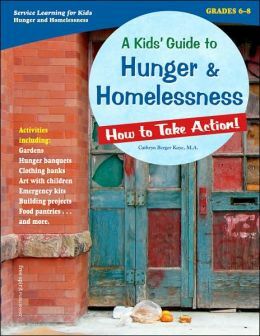 Posted on June 17, 2013 by Patricia Tilton •	This entry was posted in Cathryn Berger Kaye, Children's Book Review, Homelessness and tagged Homelessness, Hunger, Social Justice, Taking Action. Bookmark the permalink. What a great resource to show kids to take action for those in need. Catherine, it is a fabulous guide that can be used by kids with parents and teachers to take action. The author has written a number of guides. Was also intrigued with her oceans/waterways workbook. Love that all these four important stages have been included. This does look like an amazing resource. Thanks for spotlighting it, Pat. I have been lucky to be able to get teens and young adults involved in homeless projects on various cities in which I have lived. Joanna, I am glad you’ve have gotten students involved in homeless projects. You would like this guide. And, she has written others. I thought of you when I saw her workbooks for teens on saving the ocean and waterways, and on protecting animals. What a great book! I think I need this book.I like how it gives examples of what to do! Erik, I think you’d have fun with this book. Could do it with your family, school or church friends. She has a variety of service books. This is the kind of inspiring grass-roots, ground-up initiative necessary to educate and empower children to become compassionate citizens of the future. This issue is very close to my own heart Patricia. I knew you would find it of interest, Niamh. You have been in the middle of some very important global work for the hungery and homeless. It’s great that authors are writing guides to help kids, teachers and parents. What a wonderful idea for a book. I think this could easily fill a niche and be one of those books every parent would like to talk to their child about. Hi Michael. Glad you liked the workbook/guide. I think it is perfect for kids. But, it’s great to involve parents, teachers and youth group leaders. Really makes kids think. What an excellent book! I’ll have to check this out! Thanks! Rhythm, I am so happy you liked this guide for kids on hunger and homelessness in the world. Hope you check it out.